Quinn convincingly conjures the terrifying reign of Emperor Domitian in her solid debut that follows the travails of Thea, a slave girl and mistress to the emperor. While she is tormented by Domitian, she holds her secrets—a gladiator lover, a young son—close. When these facts are brought to Domitian's attention by Thea's jealous rival, Thea takes drastic actions to secure her family. Quinn's command of first-century Rome is matched only by her involvement with her characters; all of them, historical and invented, are compelling and realistic, and she explores their dark sides without crossing into gratuitousness. Readers will finish eager for a sequel, which is a good thing because Quinn has left the door wide open for a follow-up. This should make a splash among devotees of ancient Rome. This is Kate Quinn's debut novel. I really enjoyed it. I found the historical part very interesting, since this is really my first HF for this time period and only 2nd taking place in Rome. I love the way the book was from Thea's point of view, then Lepdia and just narration, it all flowed together very nicely. I thought the characters very well developed, with Vix being my favorite (he reminded me of my son). 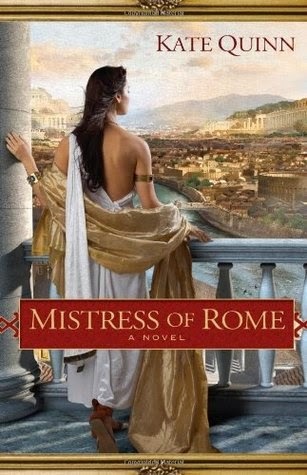 I am so looking forward to Daughter of Rome and have already preordered the 3rd book. 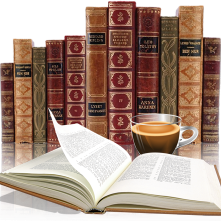 This book has been added to Where Are You Reading? Which son does Vix remind you of? The handsome one, the clever one, or the handsome clever one? Or me?